Sun protection is a high priority in outdoor recreation areas. We provide a huge range of shade structures and shade sails to fit your area. Shade Sails provide an artistic and creative alternative for shading any areas, large or small. 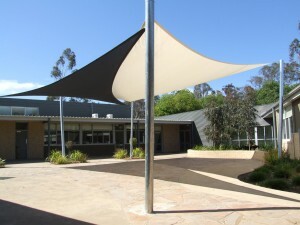 From stand alone or combined shade sails over playground equipment or playing areas to large colorbond steel hard shades over basketball courts, we can supply and install any type of shade for any type of area and terrain. 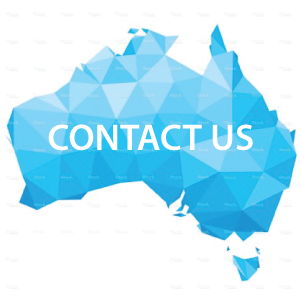 Please contact us anytime for further information regarding our shade products. The warranty set forth shall be the purchaser’s sole and exclusive warranty. All warranties below are effective from the date of installation by imaginationplay , its subsidiaries or agents. Imaginationplay reserves the right to repair or replace any shade item covered by this warranty. This warranty is void if the shade structures are not paid for in full. The warranty is void if the shade structures are not installed in strict compliance with the manufacturer’s specifications. Purchaser shall notify imaginationplay or its agent, in writing, detailing any defect for which a warranty claim is being made. Imaginationplay shall not in any event be liable for indirect, special, consequential, or liquidated damages. 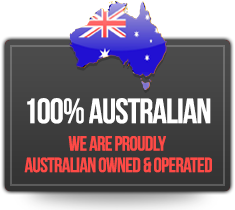 The warranty is void if any changes, modifications, additions or attachments, are made to the shade structures or fabric without the written consent of the manufacturer. No signs, objects, ornaments, fans, light fixtures or decorations, may be hung from the top portion of the shade structure or sails, unless specifically designed and engineered by the manufacturer. These items may interfere with the shade sail fabric, causing the warranty to be voided. Shade fabrics carry a limited manufacturer’s warranty from the date of installation, against failure from significant fading, deterioration, breakdown, outdoor heat, cold, or discoloration. Should the shade fabric need to be replaced under the warranty, imaginationplay will manufacture and ship a new shade fabric at no charge. Shade fabric is not warranted where it is installed on a shade structure that is not engineered and built by Imaginationplay or its agents. This warranty shall be void if damage to, or failure to, the shade fabric is caused by contact with chemicals, misuse, vandalism, any act of God, including but not limited to, ice, snow or wind in excess of the applicable building code parameters. All fabric tops are warranted for winds and wind gusts up to 90mph, prior to snow or ice accumulation. The shade structures have been designed to eliminate any friction between the rafters and the fabric. The warranty will, therefore, be voided if any modification (temporary or permanent) or any attachment (temporary or permanent) is made to the rafter, cross pieces, or ridge beams. Labor for the removal, installation and/or freight charges of the shade fabric, will be covered in full for a period of 12 months, where the shade structures supplied and installed by imaginationplay are defective. In all cases where the shade structures are not installed by Imaginationplay or its agents, all labor for the removal, installation and/or freight, will be at the client’s expense, and the warranty will only be applicable to the repair or replacement of the defective materials. Imaginationplay reserves the right, in cases where certain shade fabric colors have been discontinued, to offer the customer a choice of available colors to replace the warranted fabric of the discontinued color. The company does not warranty that any particular color will be available for any period of time, and reserves the right to discontinue any color for any reason it may determine, without recourse by the owner of the discontinued fabric color. The structural integrity of the steel is warranted for a period of years. Workmanship and powder coated (painted) surfaces are warranted for a period. This warranty shall be void if damage to the steel frame (or paint) is caused by contact with chemicals, misuse, vandalism, and any act of God, including but not limited to, ice, snow or wind in excess of the applicable building code parameters. Labor for the removal, installation and/or freight charges of the fabric, will only be covered in instances where Imaginationplay or its agents have installed the shade structures. In all cases where units were not installed by Imaginationplay or its agents, all labor for the removal, installation, and/or freight, will be at the client’s expense and the warranty will only be applicable to the repair or replacement of the defective materials.